Good news! 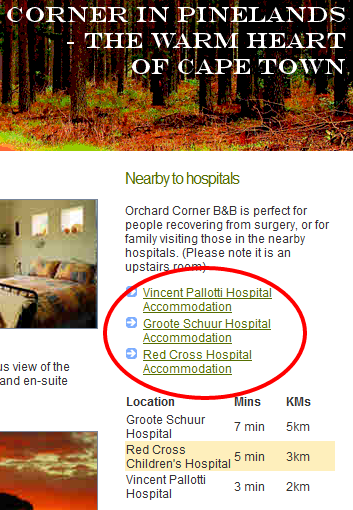 Another of our clients is Abbey Manor and I checked their SERPS (search engine results page) and they are coming 2nd for the primary search phrase which we agreed on when they hired us. 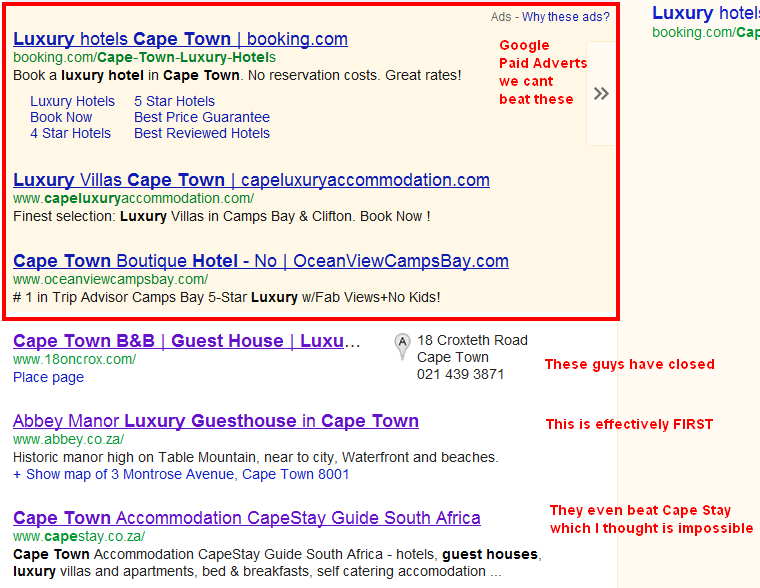 The search phrase is “luxury guesthouse cape town” and they are coming second. This is a quote from a client… the message title was “YOUR EXTRA SPECIAL JOB”. I had previously contacted him and offered some more innovations to increase his visitors even more and he declined saying he had all the clients he could handle. I must say that I am thrilled with our web site. Thank you for all the time and expertise that you have put into it. I am sure that it will now work even better for us. Another of our clients is a butchery equipment client. Not ignoring you intentionally, promise. Have been extremely busy. We have had up to yesterday lunch time 18 machines brought in for repairs and everyone is urgent. Have plenty feedback from the website. Besides the calls in to the office for small spares/machines have had requests for quotes on machines from Ghana, Kenya and Malawi. Only problem is they want the quotes in Us $. Not easy to do with the exchange rate being what it is. Anyway we shall prevail. Ha! They were so busy with orders that they could not reply. Bingo… job done! Thanks yes very happy. Feel free to forward anyone onto me who wants a reference. Every website designer says they do a great job. Each and every one of them. I go further and make the claim that my clients become busy after I build a website for them. I back up my claim by inviting potential new clients to contact my past clients. Now let me show you a past client and where his products rank in Google, Microsoft Bing and Yahoo. They make butchery equipment. Most of his products rank in the top 3 results and almost all the rest are on the front page. The report is available in two formats: PDF and Microsoft Excel. The date of the report is today – 29 Jan 2012. 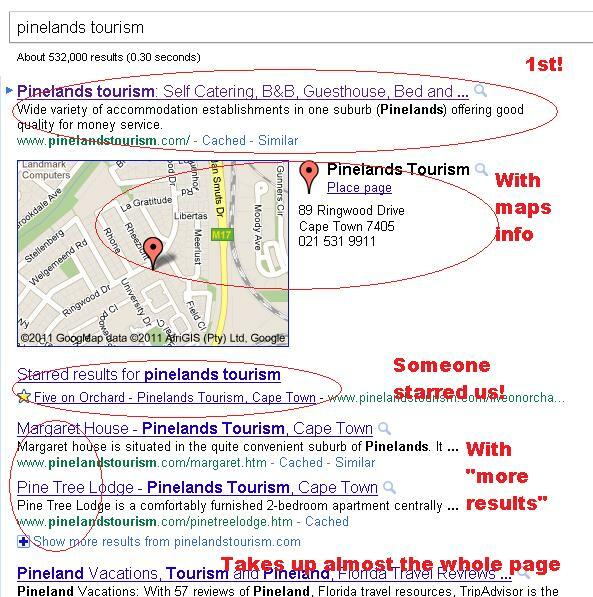 I just notified our client whom we launched late last year… they are coming 2nd… what a great success story for our SEO! 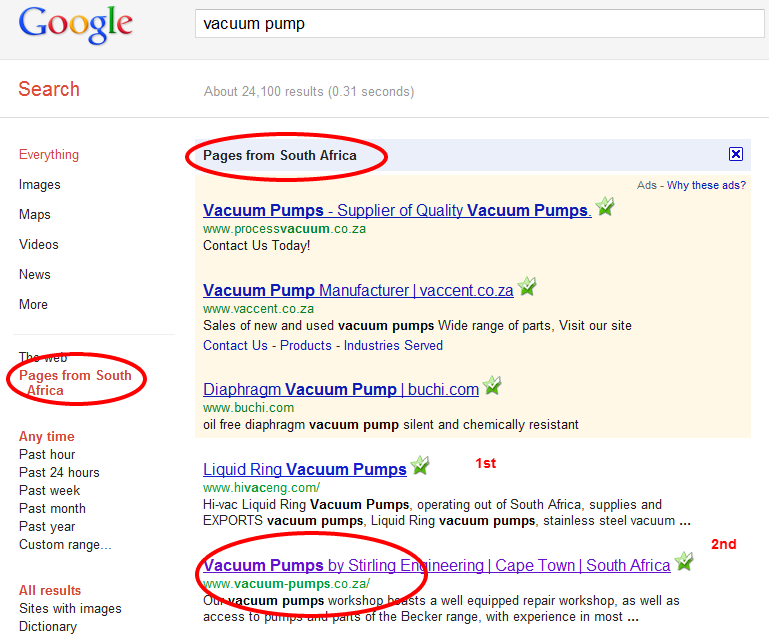 Their primary search phrase is “vacuum pump“. That is what they sell… in all shapes and sizes. 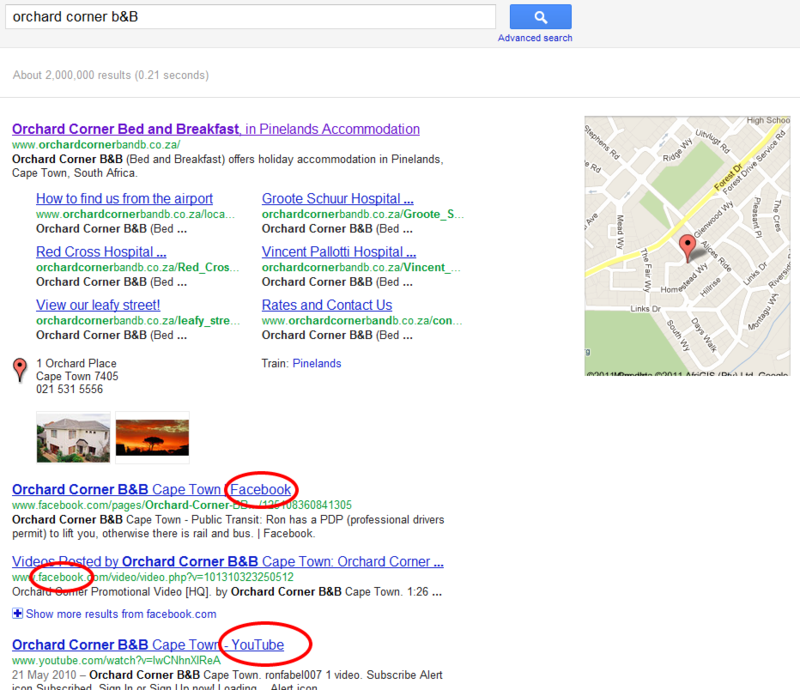 It was our goal to come on the front page of Google for that search engine term… and we have come second! 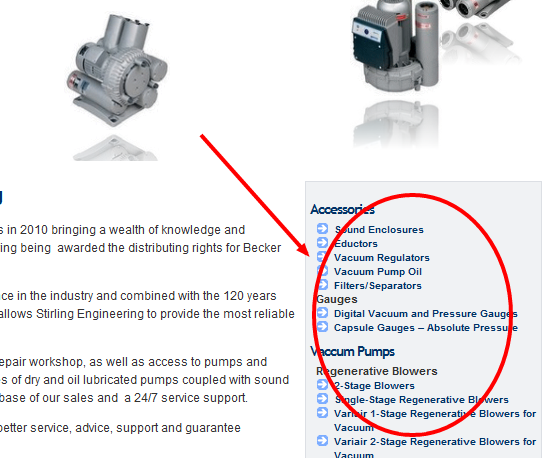 We also target about 50 product names for them, but this is the biggie “vacuum pumps” because that it primarily what they sell. 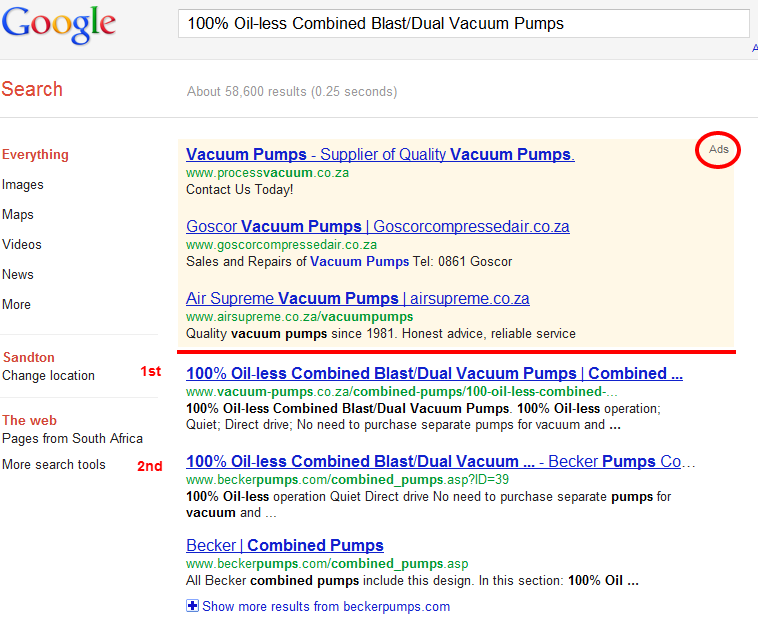 Our SEO client ranks 2nd for their primary keyword "vacuum pumps"
Maybe you have a website already but you want more sales from it. 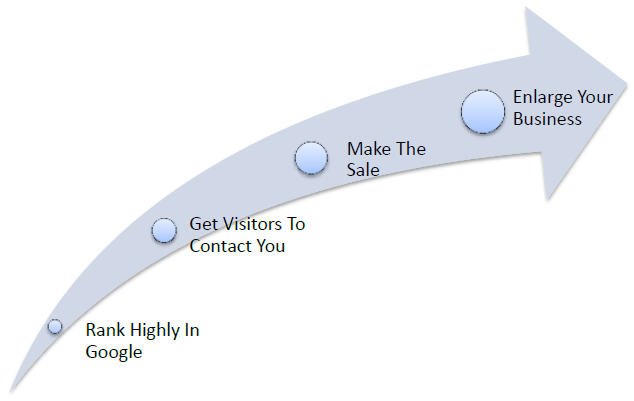 This is what you need to know… this how you get more customers through your website. 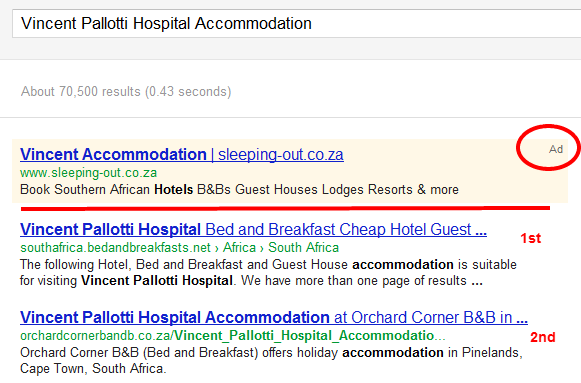 If Google loves your website, then it proudly displays your website on it’s front page results. If Google doesn’t love you, no one will know you exist. I they can’t see you, then they can’t visit you and buy from you. You need Google to love your website – and that’s what we do for you.